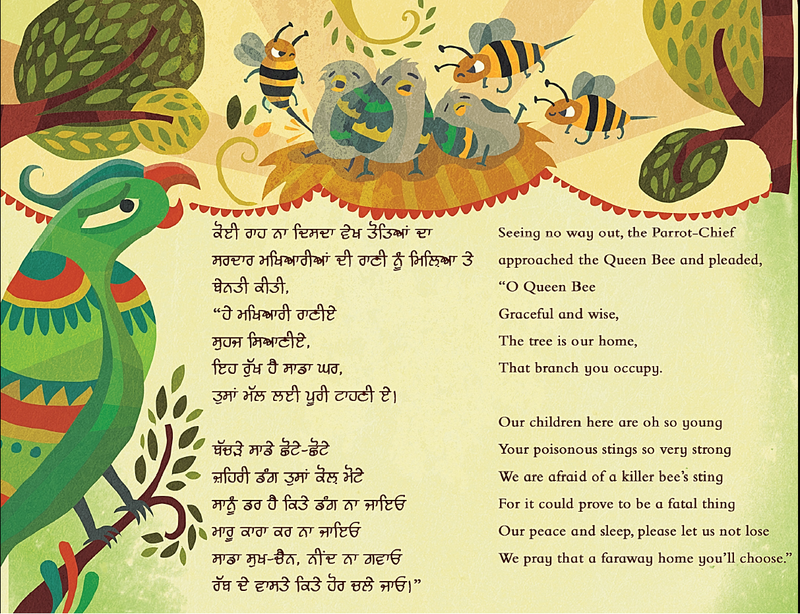 #1 – The parrots live peacefully on a Margosa tree but feel threatened as some bees start to build their hive there. 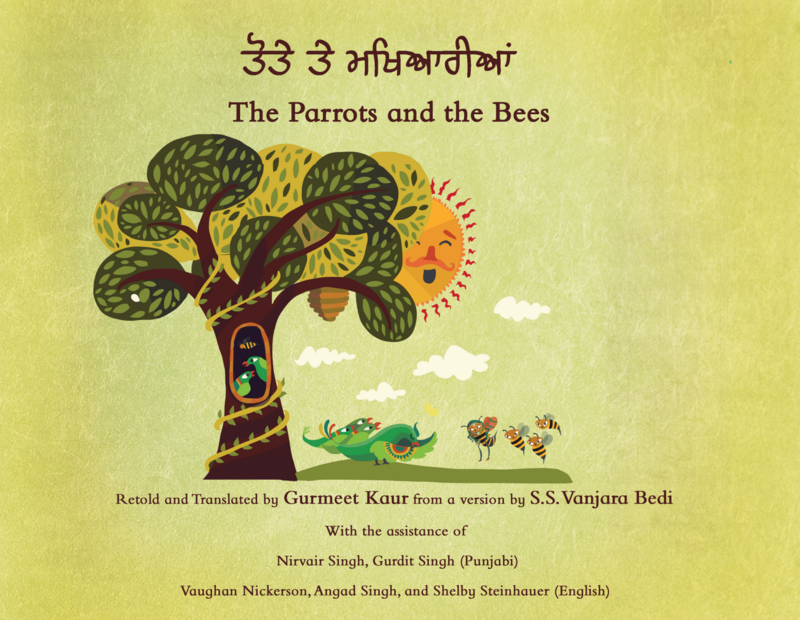 The Queen Bee convinces them that she means no harm, and the parrots allow the bees in their tree. In time, everyone learns that harmonious coexistence is a beautiful thing. 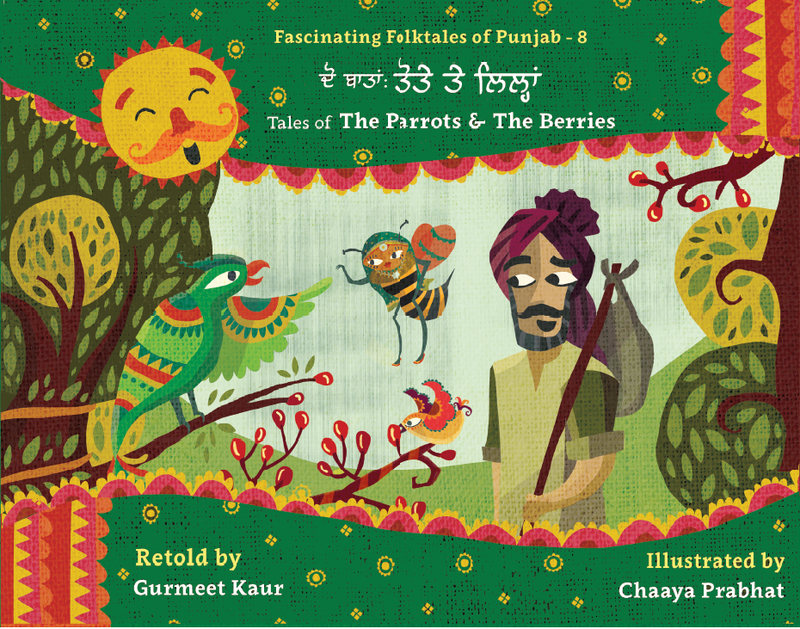 #2 – A sparrow continually gets in trouble, and a passing traveler repeatedly helps her out. 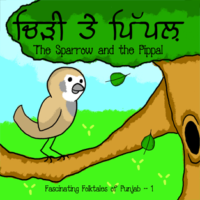 The sparrow entices him with a promise that she doesn’t seem to keep, testing his patience. 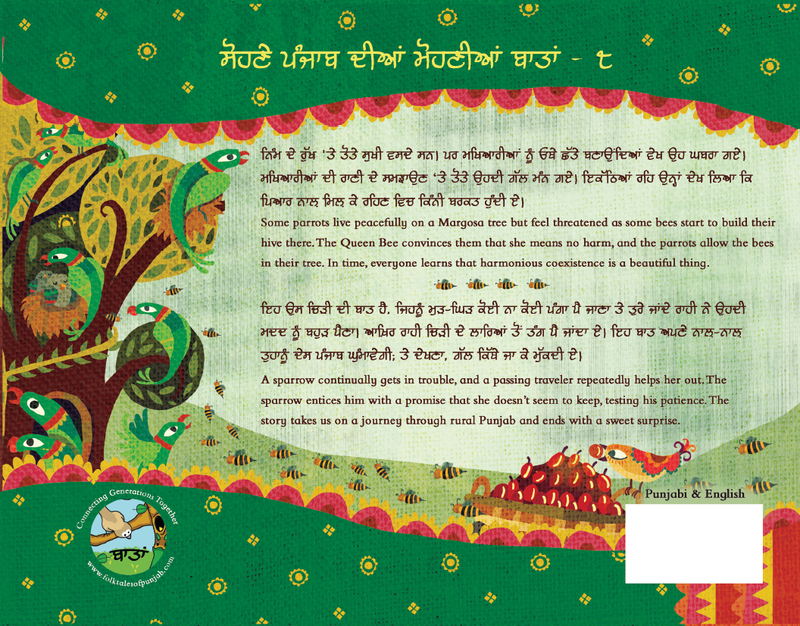 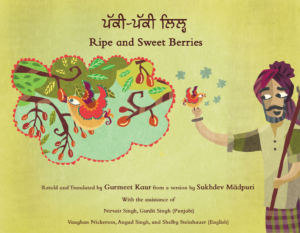 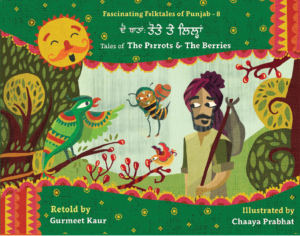 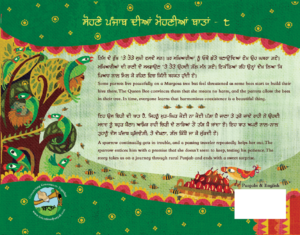 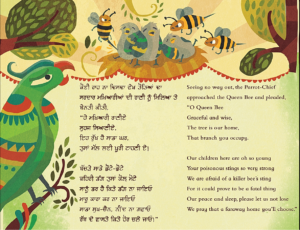 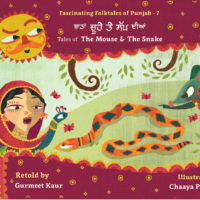 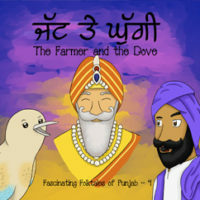 The story takes us on a journey through rural Punjab and ends with a sweet surprise.